Hello Friends and Happy St. Patrick's Day to any and all who celebrate! I thought it would be most fitting to share a little touch of the green today. So, I dug into my stash and pulled out a sweet digital image from my beloved Meljen's Designs collection. Here is my cast of characters for the day. This is the Dancing Leprechaun and I just love him to pieces. He makes me smile. This is not the first appearance this little guy has made on my blog. I created a card with him a few years ago, in fact, I CASED myself...sort of. I printed my image onto smooth white card stock and colored him with Copic markers. Plain and simple coloring, nothing too fancy today. I really enjoyed playing with the greens. Then, I die cut the image using the Deckled Edge Rectangle Nestabilities die and sponged on a bit of Scattered Straw Distress ink while it was still in the die to create that crisp, white border around it. I mounted the focal panel onto my card base with dimensional adhesive and tied on the ribbon. 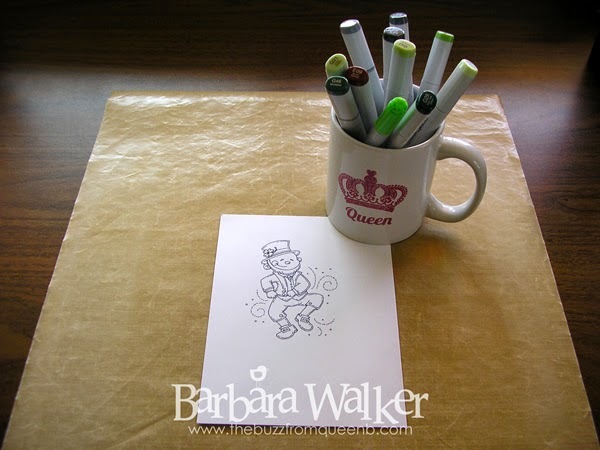 After stamping and inking the greeting, I adhered it to green matting and added gold brads. I used dimensional adhesive on this piece, as well. 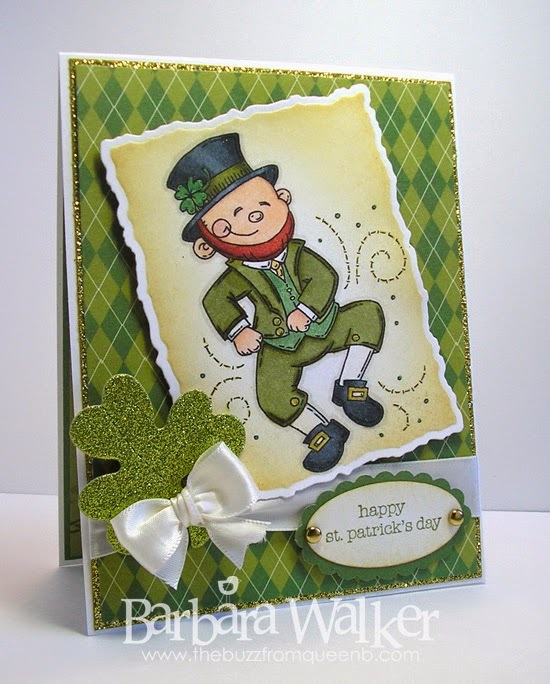 And finally, I die cut a shamrock from green glitter paper and tucked that into the ribbon to finish off the card. That's it from me today. Thanks for stopping by!